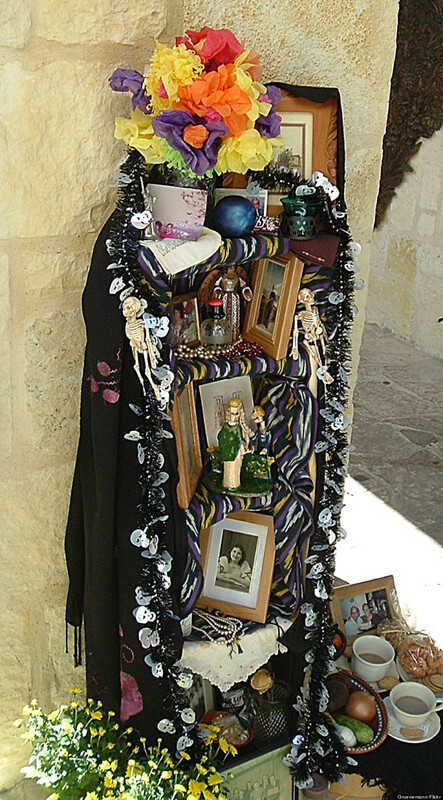 Build an altar to a loved one When I saw this activity, I felt that it might be the perfect one for arachnoiditis survivors. Many survivors grieve for the person that they were before arachnoiditis entered their lives. My suggestion is that it might be beneficial to build this altar in halves. The left half is the altar to the “YOU” that you remember and the right half is a second altar to the “YOU” that you would like to become. There will certainly be a disparity of sorts between these two images. However, the combination of them gives some semblance of recognition and tribute to the validity of the “YOU” that you are now. Creating a physical manifestation to honor the relationship between both sides of yourself becomes an empowering totem which promotes an inner acceptance of you. Some other things you might want to consider as artistic material: memorabilia of a victory or milestone achieved, an obstacle you have overcome, a grocery receipt for healthy foods that support your recovery, a teabag tag that gave a few minutes of grace in an otherwise horrendous day, a leaf of many colors or any object that reminded you of the beauty that still exists in the world, a case number to show you are in pursuit of justice, a photograph of quality time you have spent with a child, and any other found or created object which celebrates your achievements- great and small.